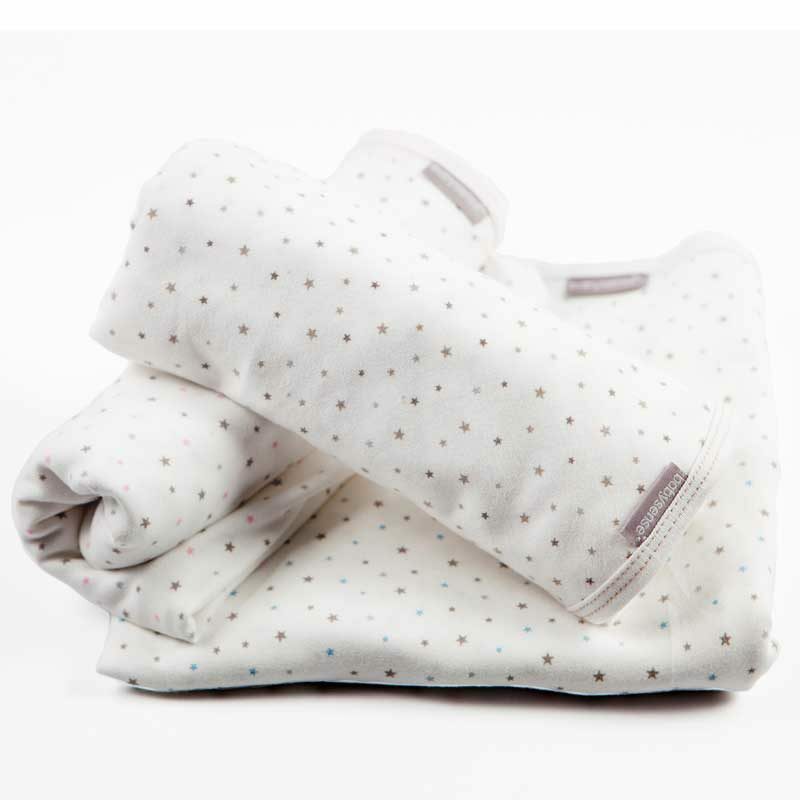 The award winning Baby Sense Cuddlewrap Swaddle Blanket is the ultimate swaddling blanket. 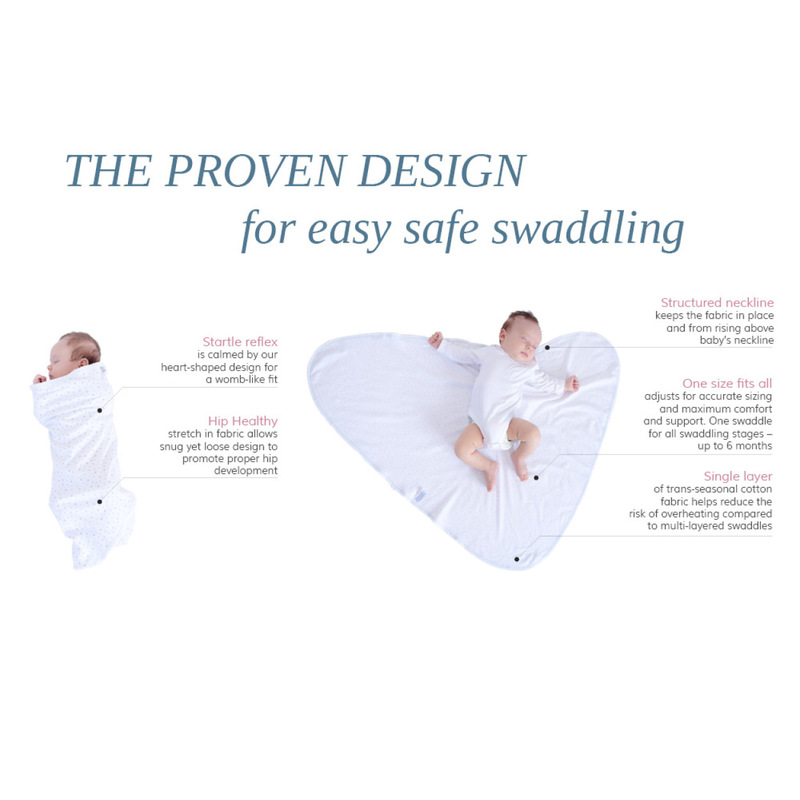 Its secure design creates a cozy, womb-like feeling for baby and prevents the involuntary, jerky movement of the arms and legs of young babies that can wake up your infant. 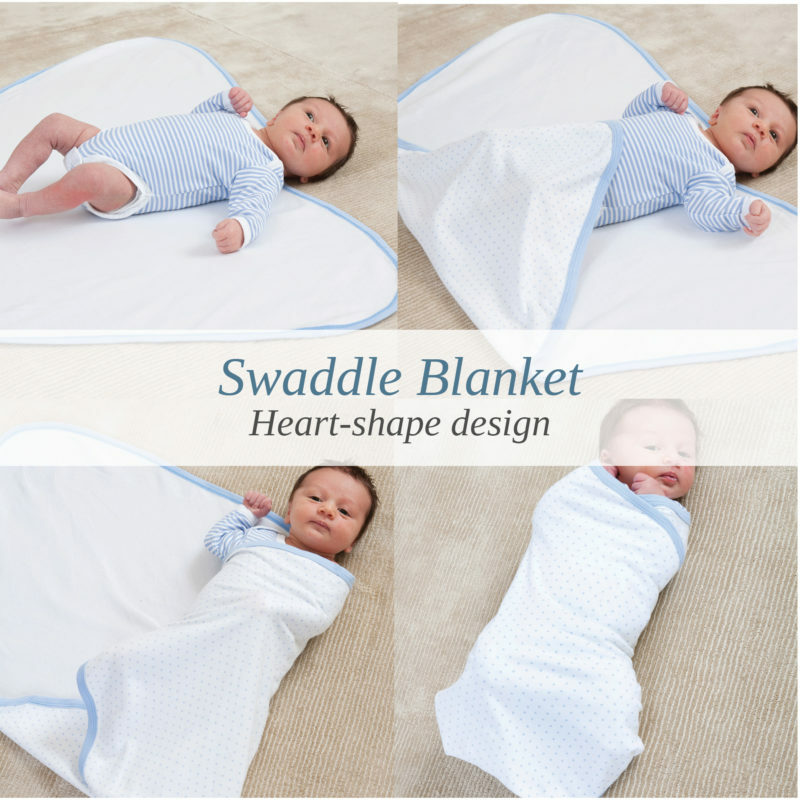 The clever heart shape is designed for a snug fit with a neck area cut out so that their arms can be snugly wrapped near to the body and face with no need for poppers, Velcro or ties. The deep hug of the stretchy cotton imitates the womb environment that ensures your baby feels as cozy and secure as those last days in the womb. The Cuddlewrap Swaddle Blanket’s secure design prevents the startle reflex* that can wake up your infant. The clever heart shape is designed for a snug fit with a neck area cut out so that their arms can be snugly wrapped near to the body and face with no need for poppers, Velcro or ties. 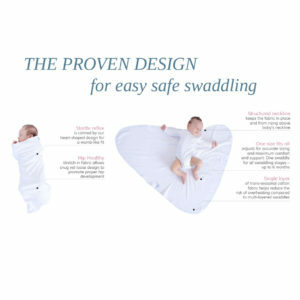 The deep hug of the stretchy cotton imitates the womb environment that ensures your baby feels as cozy and secure as those last days in the womb. 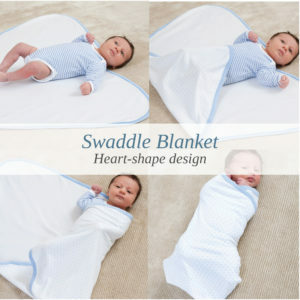 The Cuddlewrap Swaddle Blanket can be used from newborn to around 3 – 4 months of age, depending on the baby’s size. At around this age, most babies outgrow swaddling and no longer need to be swaddled for sleeps. 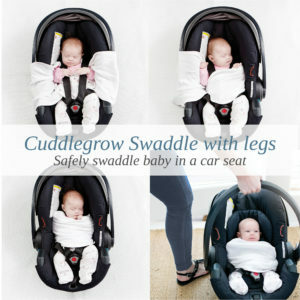 Do not use swaddle when using products with restraints such as car seats, strollers, swings, etc.